I love a simple cucumber salad. So fresh, refreshing. This take on the dish, is very different. Coated in a sour cream sauce, it is different, but good in its own rights. The cool cucumbers and sour cream are offset by the heat of the pickled cherry peppers. 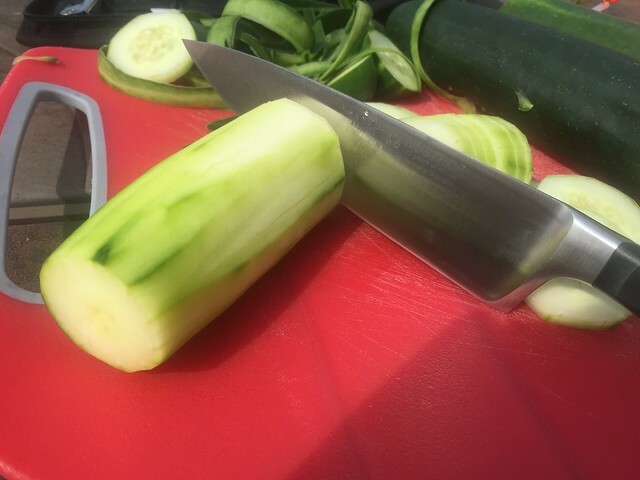 The only real work is the peeling and slicing of the cucumbers. This goes together in a handful of minutes. 1/2 cup chopped pickled cherry peppers. Toss 3 peeled and thinly sliced cucumbers with salt in a bowl. Chill 1 hour, then drain and pat dry. Meanwhile, soak minced onion in cold water 15 minutes; drain. 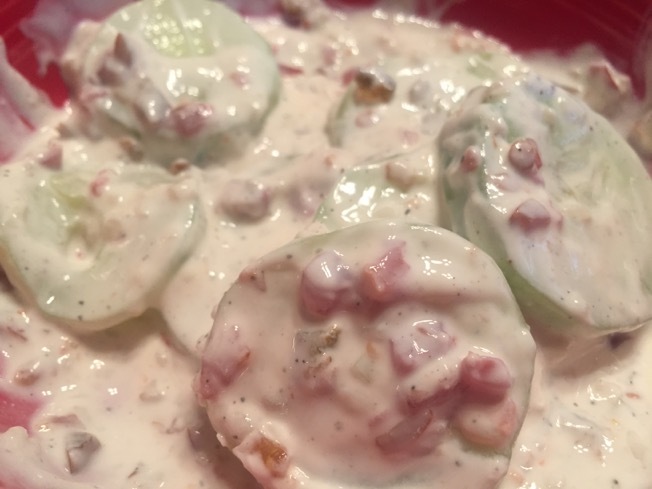 Mix sour cream and sugar in a large bowl, then stir in the cucumbers, onion, some black pepper and chopped pickled cherry peppers. 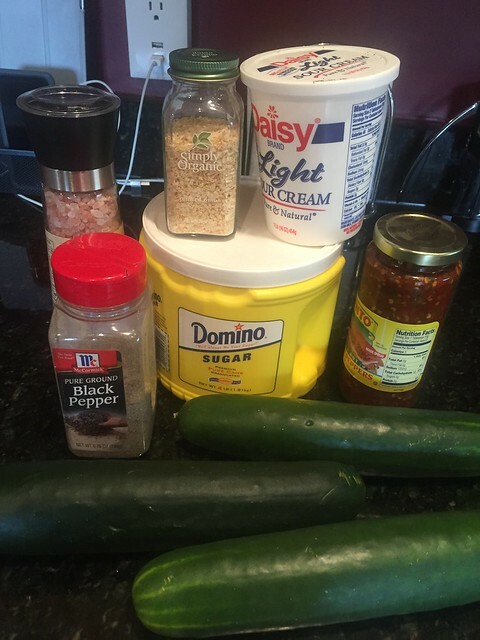 I love cucumbers and am always looking for new recipes.